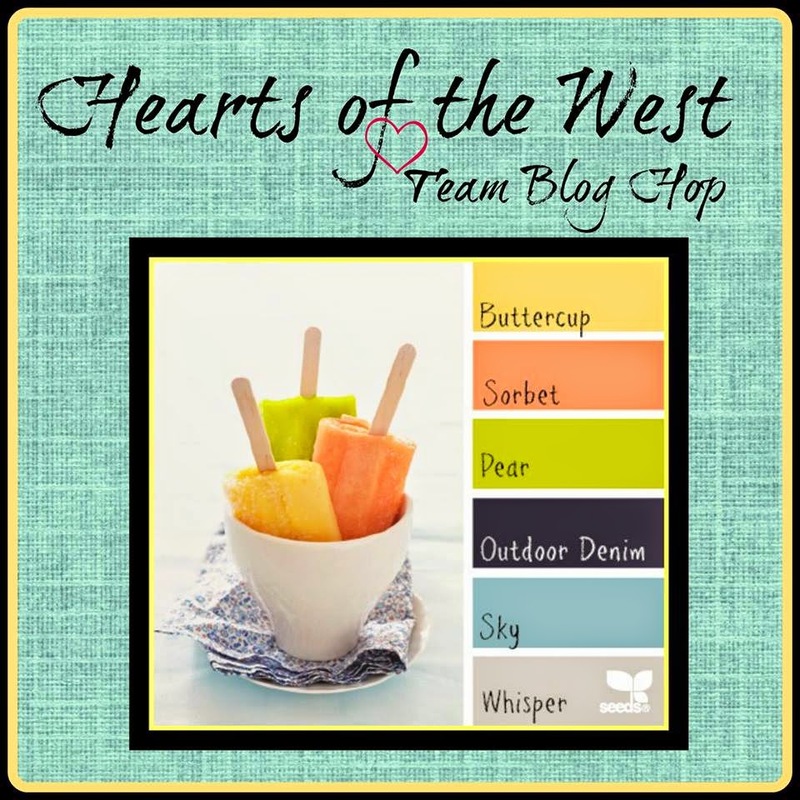 Welcome to the Hearts of the West team blog hop! August Edition. If this is your first time joining us you will love it. It features Close to my hearts Consultants from all over Canada. It is founded by Nancy Klein. A fun few facts about August: It is National Picnic Month. Also this month's birth flowers are the beautiful gladiolus and the poppy! If you came from Freya Hall Dunbar then you're in the right place, this is a go around blog so you can start anywhere! Just in case the full list will be at the bottom. SO as always grab your coffee, tea, water, relax and hop around the team with us. Yeah, I'm so happy! I got to play with the Hearts of the West Blog Hop this month! I love all the colors that were could choose from and I wanted to incorporate more in, but I had to work with what I had! I absolutely fell in love with this design by a fellow consultant and have been meaning re-create it, so I got the opportunity with this months color choices! 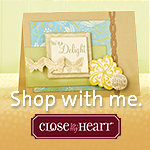 This card features an older Stamp of the Month because I had a scare with almost losing them! But I also choose it because I LOVE sunflowers and I wanted to play with the new ShinHan markers that are available through CTMH now! I thought the yellow was close to the Buttercup color and figured it would blend nicely with the blue. I used YR24 Marigold and Y222 Golden Yellow for the flowers. I used GY234 for the leaves and BR99 Bronze for the centers of the flowers. I used White Daisy and Outdoor Denim cardstock. I stamped the images in our exclusive Black ink and the wording in Outdoor Denim ink. I sponged the edge of the one piece with Outdoor Demin. Your next stop is Linda Pekrul. Thanks for joining us this month and come back to see the start of the new Annual Inspirations! Exciting!! Here is a list of everyone's blog that took part this month! wow, very pretty! im so happy you were able to join us too! it was a fun color challenge this month. I LOVE your sunflower card! Perfect for Summer! Beautiful card! Great colouring job.